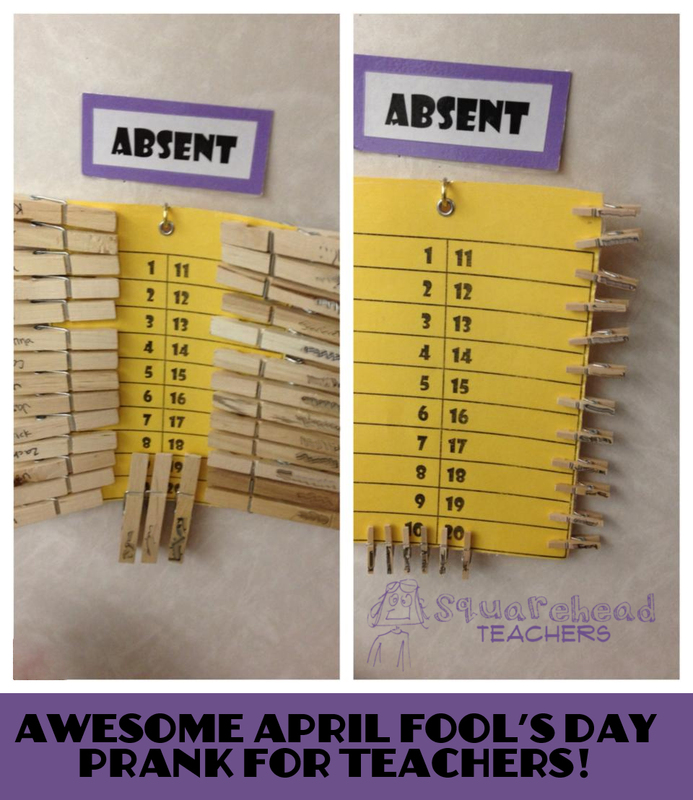 My *awesomely clever* friend pulled this prank on her class yesterday: Her class has attendance clothes pins (that each student moves first thing in the morning to show they’re present). Well yesterday, they shrunk! She went to Walmart and bought the tiny clothes pins and then wrote each student’s name on one. Then she clipped them where the regular sized ones always are. The kids “kind of freaked out!” Love it!!! This entry was posted in Holidays/Seasons, Humor & Quotes and tagged April Fools' Day, Children, Education, Elementary School, jokes, Kids, pranks, spring, Teacher Resources, Teachers, Teaching by Squarehead Teachers. Bookmark the permalink.